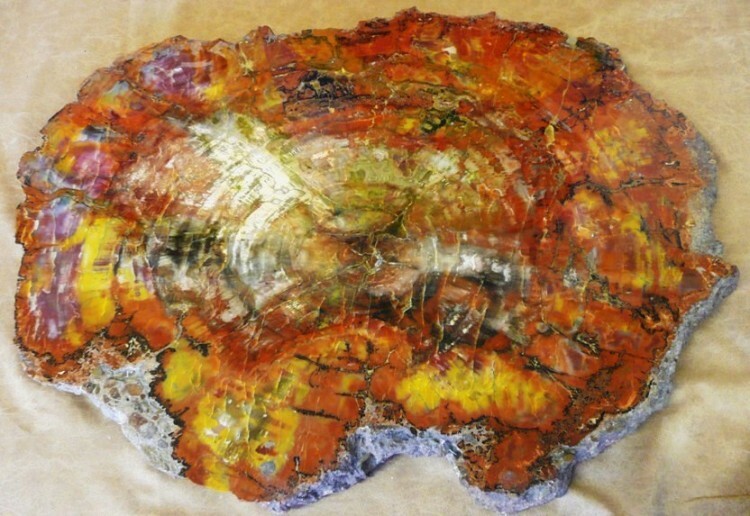 A superb polished tree slice of petrified "Rainbow Wood", from the Triassic Period, 230 million years old. It was discovered in Arizona, USA. 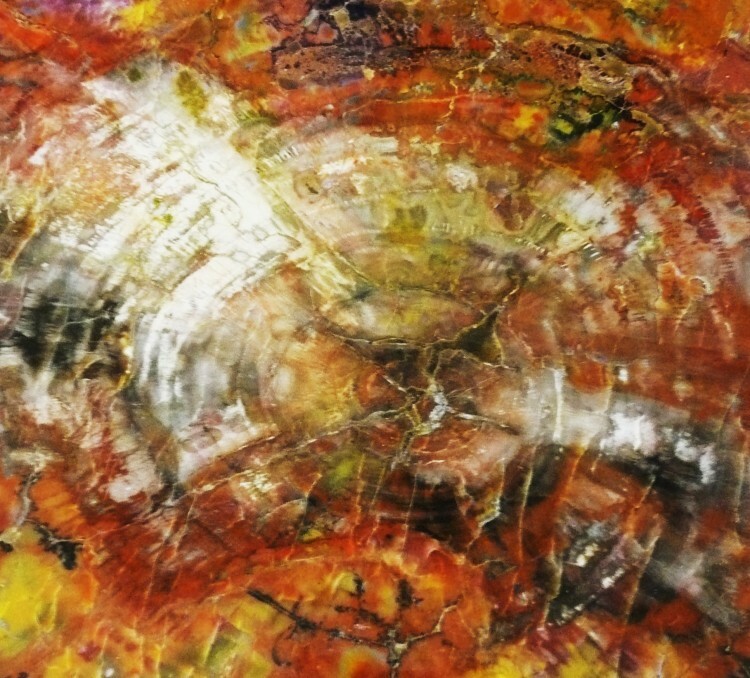 This is a large slice through the trunk of a petrified tree from USA. Many of these forests continued to exist during the time of the dinosaurs, and these trees would have been part of the scenario, much like the Amazon forests of today. The larger slices through the trunks are much rarer than the small pieces commonly found, and as such command higher prices. 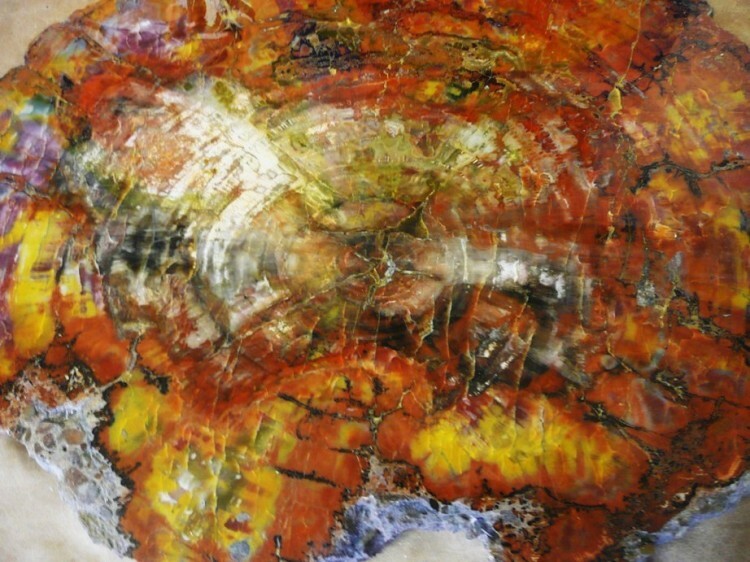 This piece is also much rarer because of its amazing "Rainbow" colouring, which is due to the inclusion of a variety of minerals during its petrification. A piece very similar to this sold recently at auction for $6000. This is a stunning example and great for display in the home.